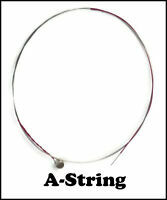 Viola String Steel A-1 String for Student Viola in 15", 15.5", 16", 16.5"
Brand New Helicore Cello String Set 4/4 for Sale! 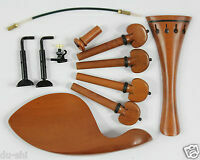 Sky trumpets, Sky pocket trumpets, Sky piccolo trumpets, Sky Flugelhorns, Sky trombones, Sky French Horns, Sky flutes, Sky piccolos, Sky clarinets, Sky alto saxophones, Sky soprano saxophones, Sky tenor saxophones, Sky baritone saxophones. Excellent all the way!!!! Thank u A+++++ awesome!! Some of the bridges in the lot are not uniform with the other bridges. 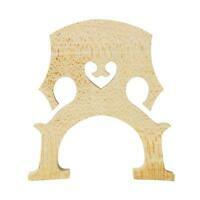 For example, on some of the bridges the space between the feet is rounded like in the picture above. On others, it goes straight across with no shaping. Also, the quality of wood show in the picture is nice but the quality wood for these bridges is not nearly as nice at all. The Bridge I received was very nice. 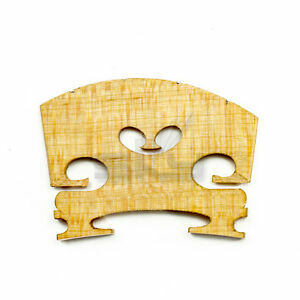 The feet are shaped to fit the curve of the violin body. The curve across the top of the bridge means no hitting other strings while playing, and E side is lower as it should be. It was overall finished and nice looking. I have no complaints. Bridge works great. Saved me lots of money. Prompt delivery. It is not fitted at all, very thick! Low quality wood!